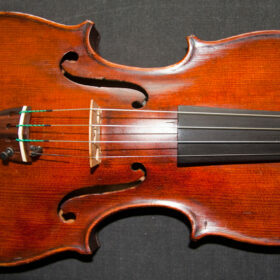 A wonderful Stradivari model violin from the workshop of the prestigious French maker Pierre Hel. 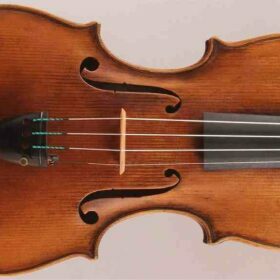 This authentic violin from the workshop of one of the best French violinmakers of the early 20th century is in truly beautiful condition. The choice of wood is excellent and the craftsmanship everything that you would expect from such a highly acclaimed Atelier. SKU: 00030 Categories: Violins, French Collection, Contemporary. 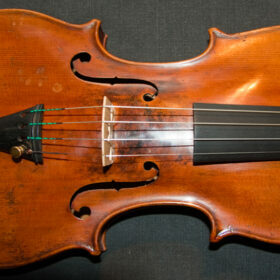 Tags: antique violin, contemporary, french, violin. 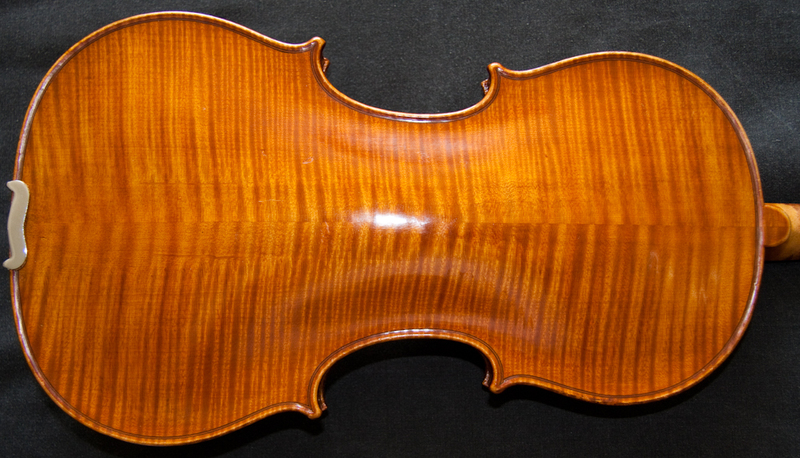 This authentic violin from the workshop of one of the best French violinmakers of the early 20th century is in truly beautiful condition. The choice of wood is excellent and the craftsmanship everything that you would expect from such a highly acclaimed Atelier. The spruce top is nicely even in its grain whilst the maple back has a flame full of Gallic flair, and all finished in a sumptuous golden varnish. 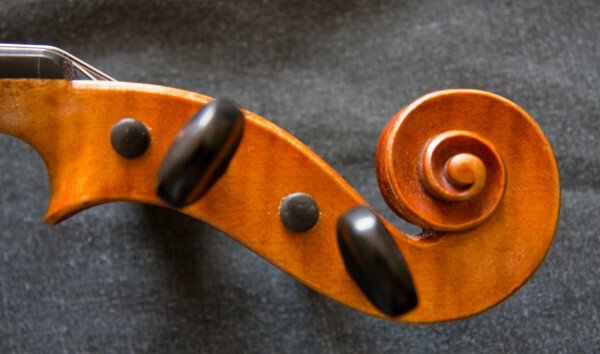 It is a violin with a brilliant quality to its sound that is usually more associated with Italian violins, but it is not a new brilliance rather that of an old violin. From its tonal qualities you could mistake this violin for one a hundred years older. 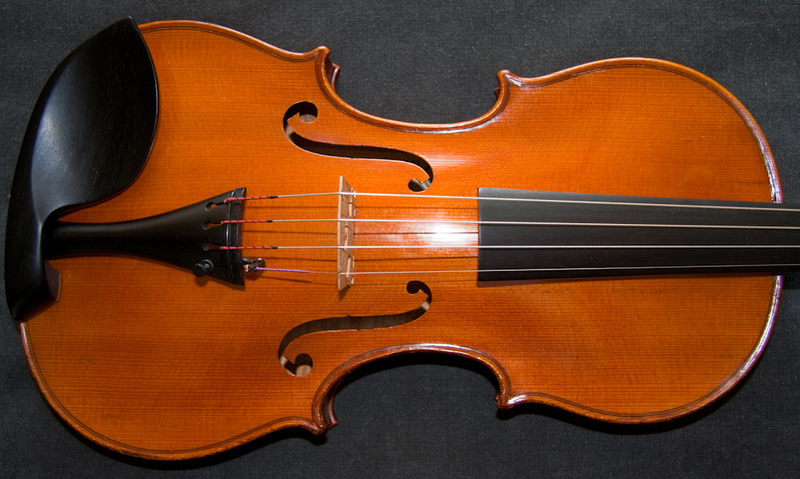 Its sound is very penetrative and will carry well in a big concert hall making it an excellent instrument for a professional violinist. 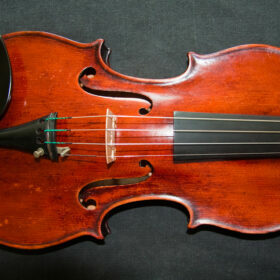 Pirastro Obligato strings are fitted as they seem to be the best match for this particular violin (we normally fit Evah Pirazzi).